A recent study published by the American Journal of Respiratory and Critical Care Medicine shows clean-burning ethanol stoves rather than traditional kerosene cookstoves may reduce hypertension and cardiovascular risk in pregnant women, and can effectively help many communities fighting against poverty and health impacts. Why is this news important to us? A healthy pregnancy leads to a healthy child. 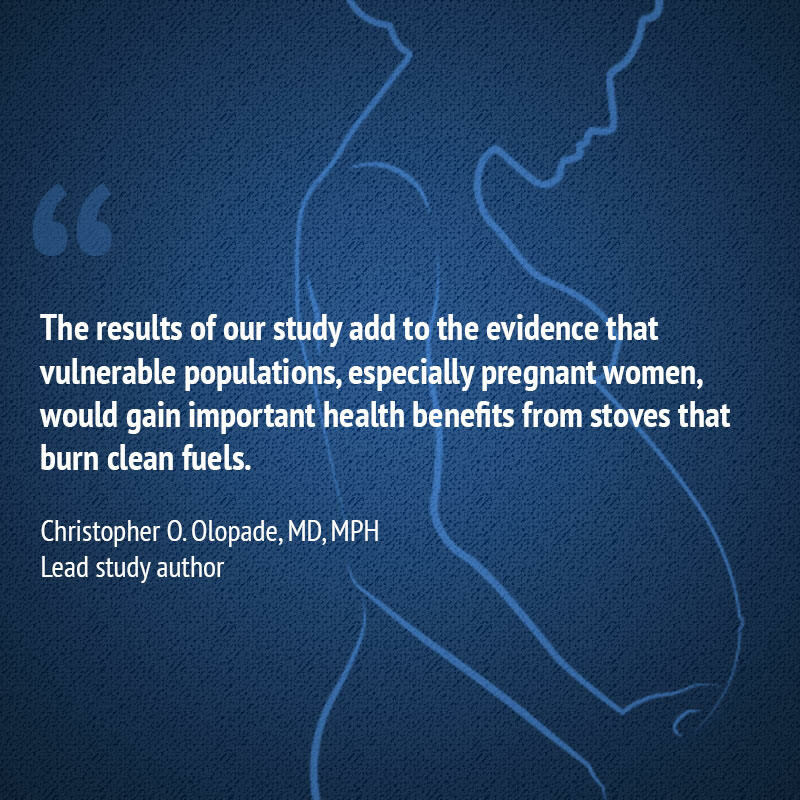 The results of this study add to the evidence that vulnerable populations, especially pregnant women, would gain important health benefits from stoves that burn clean fuels. The research involved 324 pregnant women living in Ibadan, Nigeria. Half of the participating women who previously cooked with firewood or kerosene were randomly assigned to cook instead with ethanol. The other half continued to cook with either wood or kerosene. Their blood pressure was recorded during six patient visits and all the women were randomized into the study between the 16th-18th weeks of pregnancy. 1.9 percent of the pregnant women who cooked with ethanol developed high blood pressure at the last antenatal visit, compared to 6.4 percent of those who cooked with wood and 8.8 percent of those who used kerosene. These findings support the call by the World Health Organization to remove kerosene as a home cooking or heating fuel. All participants were informed about the harmful effects of smoke exposure, and women cooking with either fuel were encouraged to cook outside or in a well-ventilated room. They also demonstrated a preference among users for the efficiency of the newer clean-burning stoves. Using ethanol as fuel reduced cooking time, a popular benefit that also helped reduce airborne debris. The results? 84 percent of women in the ethanol arm of the study gave away their kerosene stoves; most of them did so within the first month of the study. Read the complete study showing that clean-burning ethanol stoves rather than traditional cookstoves may reduce hypertension and cardiovascular risk in pregnant women: http://ow.ly/q2gN307Xp49. Follow the work of Global Alliance for Clean Cookstoves, a UN Foundation-hosted initiative to create a thriving global market for clean and efficient cookstoves and fuels: cleancookstoves.org.